The clear front panel provides great visibility while remaining secure. 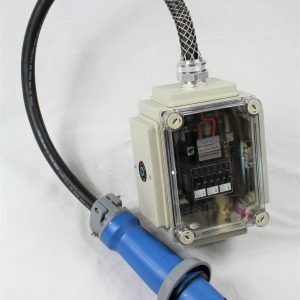 Four outputs give you several easy options. 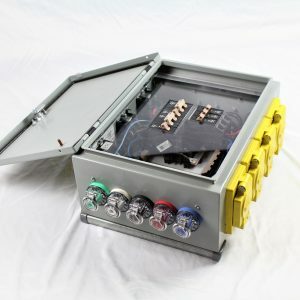 12 circuit breakers keep your system safe. 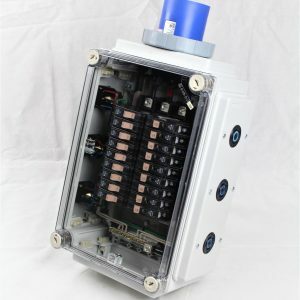 When you need a distribution panel that’s built like a tank and designed by a team who understands the options you need when setting up for a trade show, expo, film shoot, or beyond, you need this clear-view panel distributor. 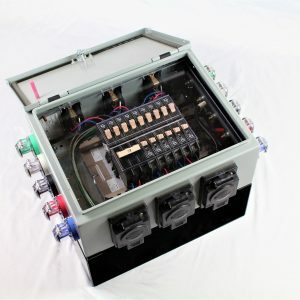 A custom component made by Nutech Industries, it features nine circuit breakers and nine color-coded outputs for maximum flexibility. Explore the specs below and contact us for a free consultation. INCOMING: 1 EACH 60AMP 4P/5W, 120/208V PIN AND SLEEVE INLET. 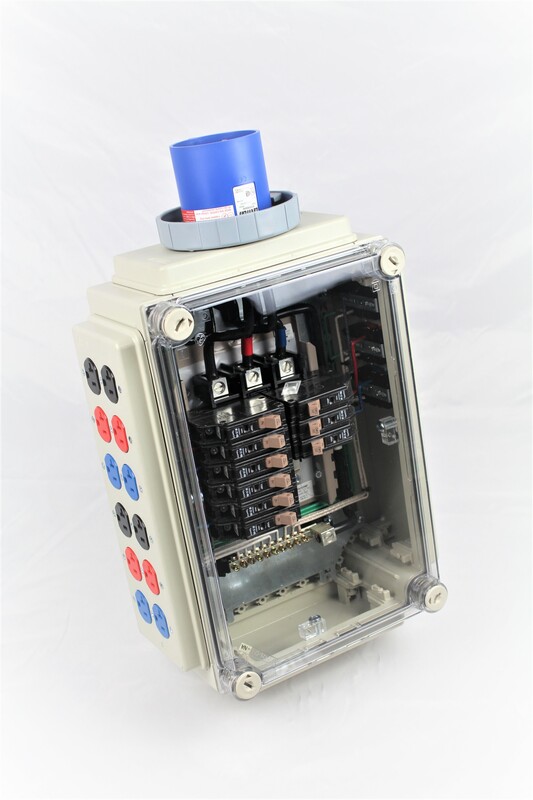 OUTPUTS: 9 EACH 20AMP 125V (NEMA 5-20R) DUPLEX RECEPTACLES. BREAKERS: 9 EACH CHF120 CIRCUIT BREAKERS.